ORIGINAL PASTED HARD BOARD GATEFOLD SLEEVE. In 1970 Cressida originally released their first self-titled LP on the vertigo label. 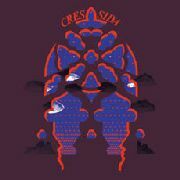 Cressida was a progressive rock unit that was heavily influenced by classical music. This music is for those that enjoy the softer blends of Prog-rock. Folks who have enjoyed genesis and yes over the years would really appreciate this album. ''Depression'' is the hardest rocking song on the entire album, that one song showed a side of the group that would have brought them to fruition and success a lot quicker. This is a great collector''s piece and another album to add to your collection with reference to the history of British Prog-rock. .